Being located near the Thar Desert, it should not be considered as barren. It has many lush gardens, among which some are natural and some are artificial. After its forts, temples and monuments, Jaipur is known for its attractive gardens that enhance the beauty of the city and promote tourism. Measures are taken by the Government to preserve these gardens as they contribute to tourism. This is a royal garden located in a lush valley. The valley is located near Amer Fort. Located on a foothill, this place is lush naturally. 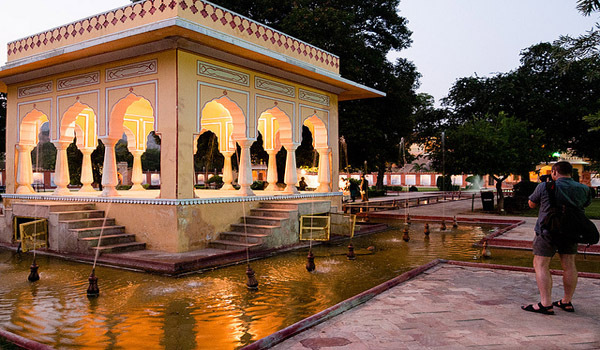 Situated at the footsteps of Nahargarh hills, the mythological Kanak Vrindavan garden is one of the popular attractions in Jaipur. History states that the name of these magnificent gardens was coined by Maharaja Sawai Jai Singh. The enchanting Kanak gardens are often compared to the valley of Vrindavan and its resemblance is so evident that it culminated in the consecration of the idol of Lord Krishna in a special complex. The garden adds more beauty to the region. This is the best place for sightseeing, strolling, relaxing and photography. Apart from nature, you can find temples and other structures here. Apart from flora-based attractions, this garden is also a treat for bird watchers you can spot a few migration birds like Neel Kanth, Kingfisher, spotted dove and others. The Kanak Vrindavan Garden patterned on the famous Mughal style gardens like the Nishat & Shalimar gardens in Srinagar and the one at Taj Mahal, Agra. However, the Kanak Vrindavan Garden is quite small in comparison. 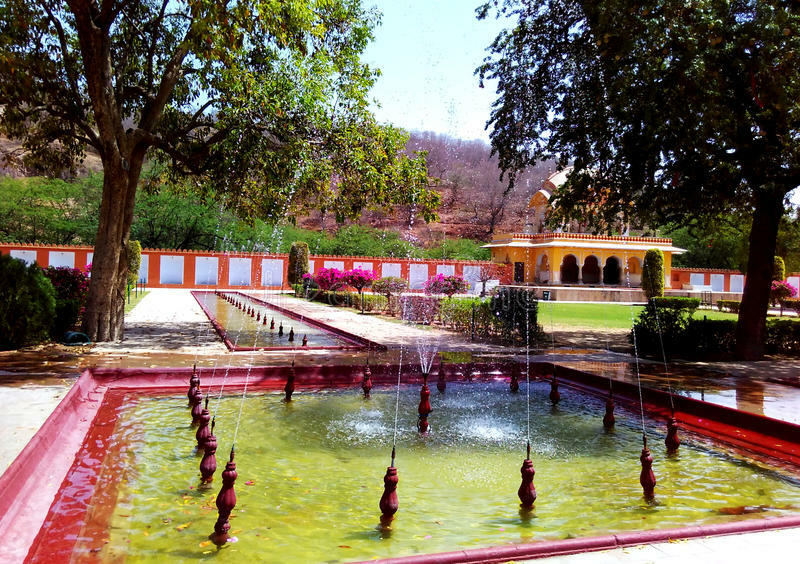 The garden is located around 8 km away from Jaipur. The garden is very close to numerous tourist attractions like Nahargarh Fort, Amer Fort, Jaigarh Fort and others. You can find much public and private transportation from various parts of the city to the garden. The garden is open from 8 in the morning until 5 in the evening. Entry to the garden is free and photography is also allowed for free. ← Shraddha Ritual; The ritual invocation of several generations of ancestors or ‘pitars’ is deemed compulsory for Hindus.